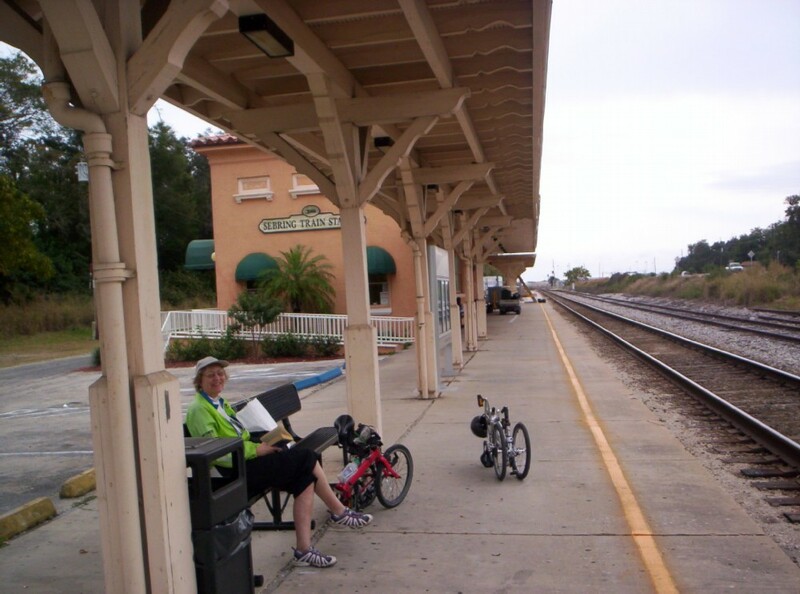 Gary dropped us off at the station where we caught the southbound Silver Meteor for the 3 hour ride to Sebring. Sebring is a very nice small town situated on Lake Jackson. 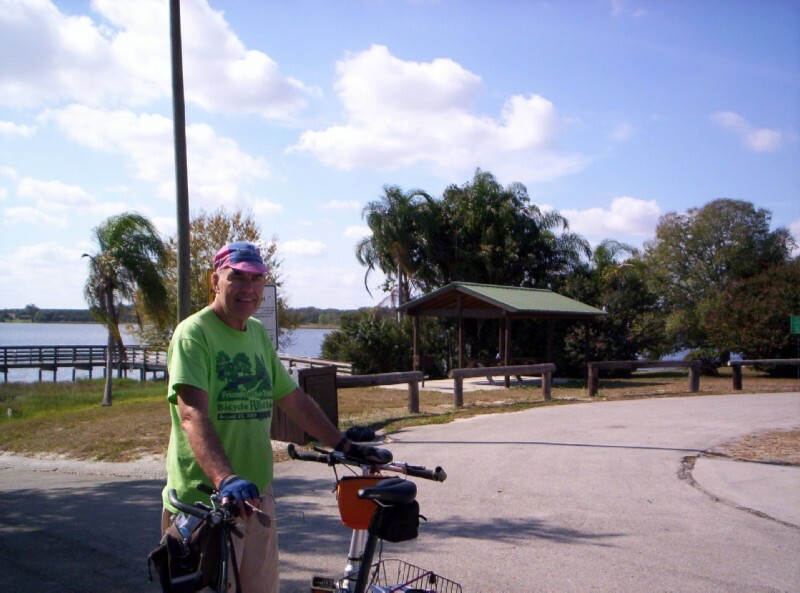 An employee from the Kenilworth Lodge, an historic hotel, met us at the station and transported our luggage while we biked the approximately 1 mile to the hotel situated just south of downtown. 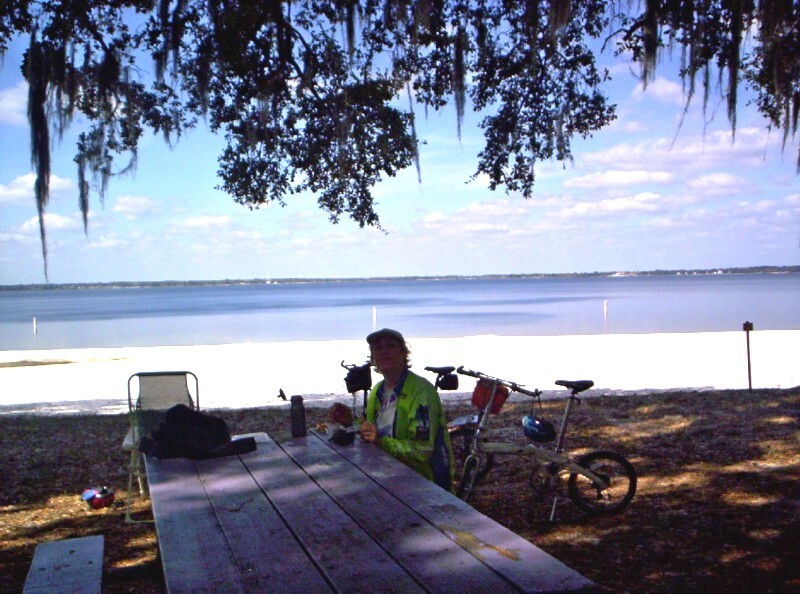 While we were there we biked around Lake Jackson several times and made side trips to Avon Park, Highlands Hammock State Park, and Red Beach Lake. Breakfast was served in part of the large reception/lounge area of the hotel. 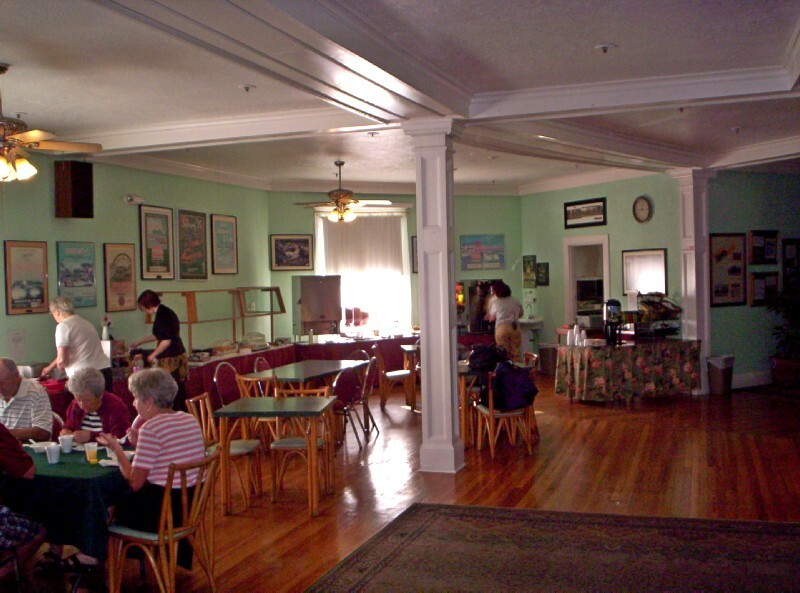 Another view of the breakfast room. 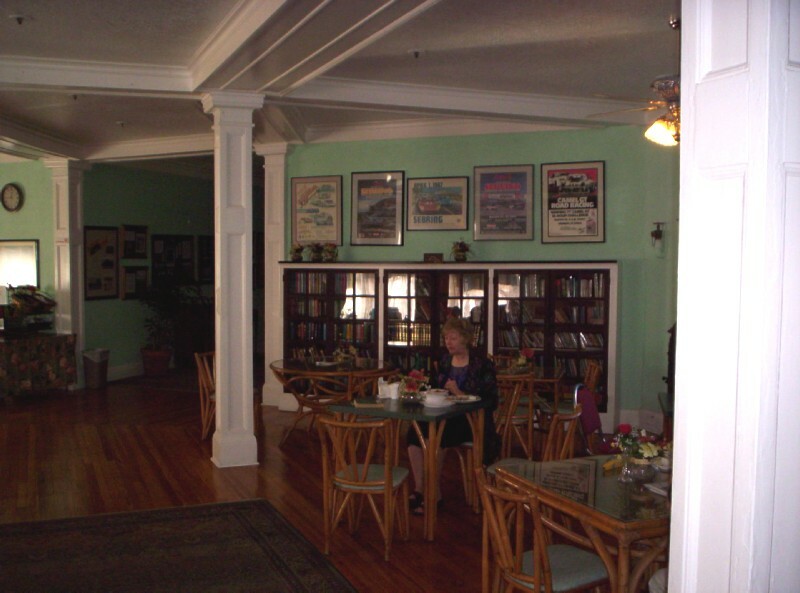 The pictures on the wall are all advertisements for past automobile racing events that occurred in the area. 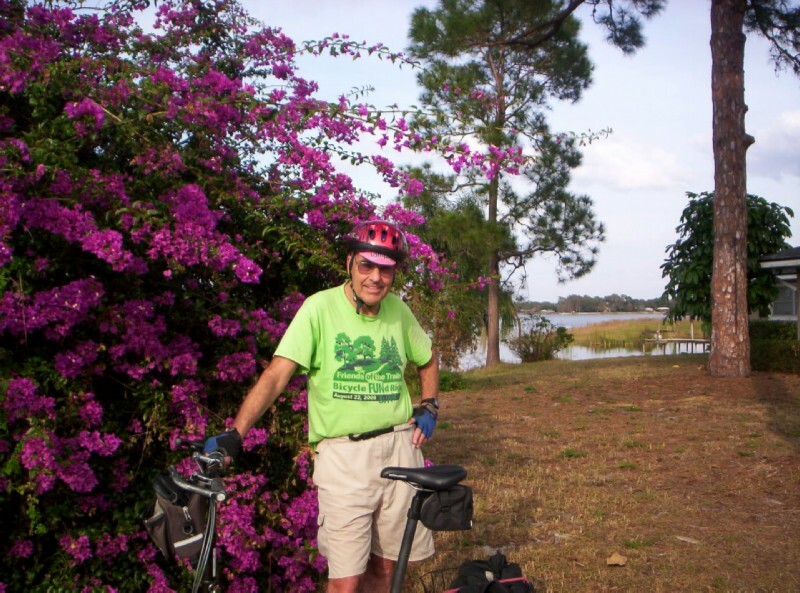 Azaleas on the opposite side of Lake Jackson from Sebring. Trains no longer stop in Avon Park; and the station has become a museum. The California Zephyr car is definitely out of place. 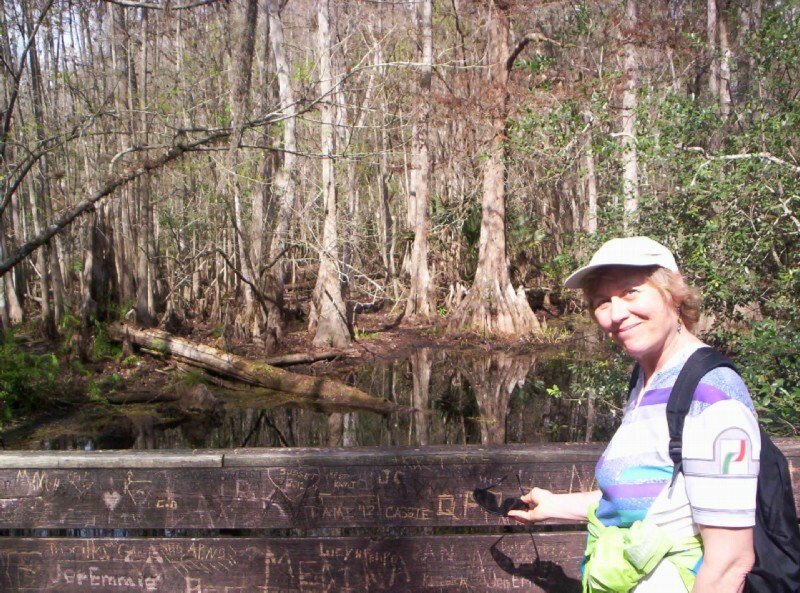 Small park on Red Beach Lake south of Sebring. 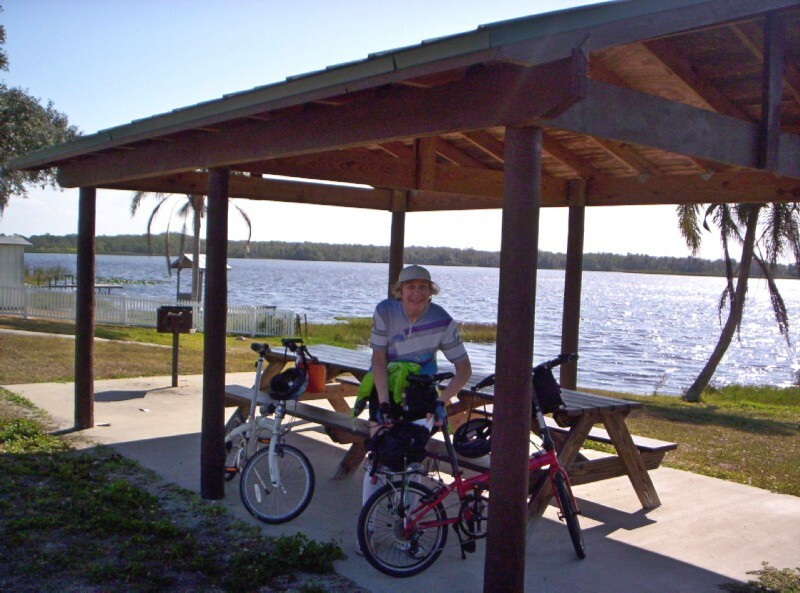 A bike path along the south side of Lake Jackson takes you to another bike path along the road heading west to Highlands Hammock State Park. 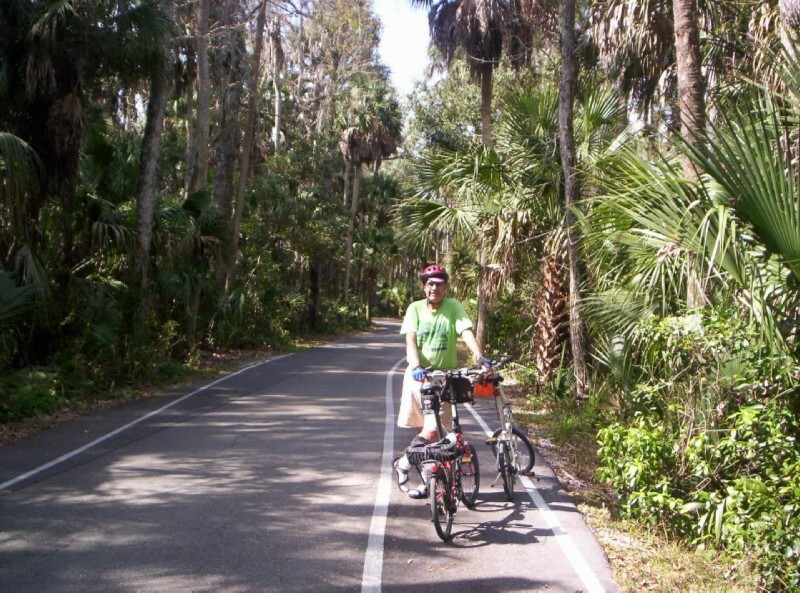 Bike lane inside Highlands Hammock State Park. 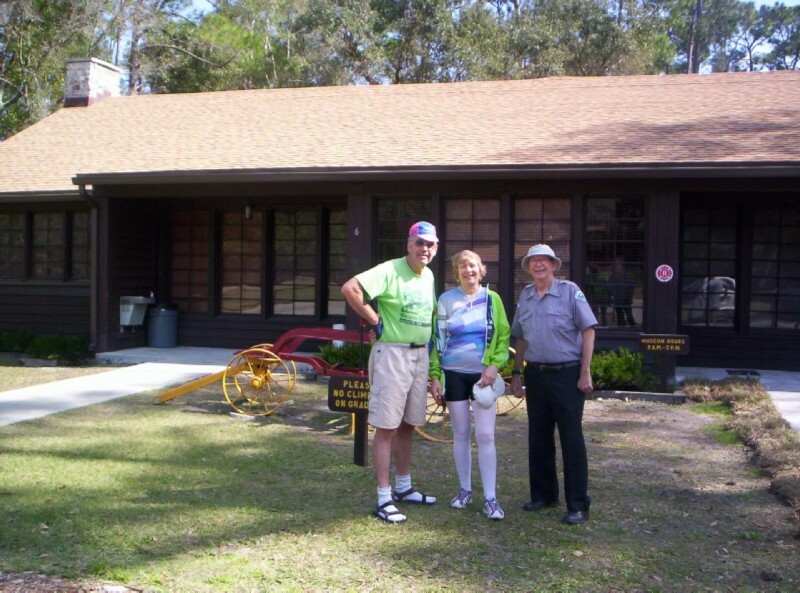 One of the attractions of Highlands Hammock State Park is a very interesting Civilian Conservation Corp museum. 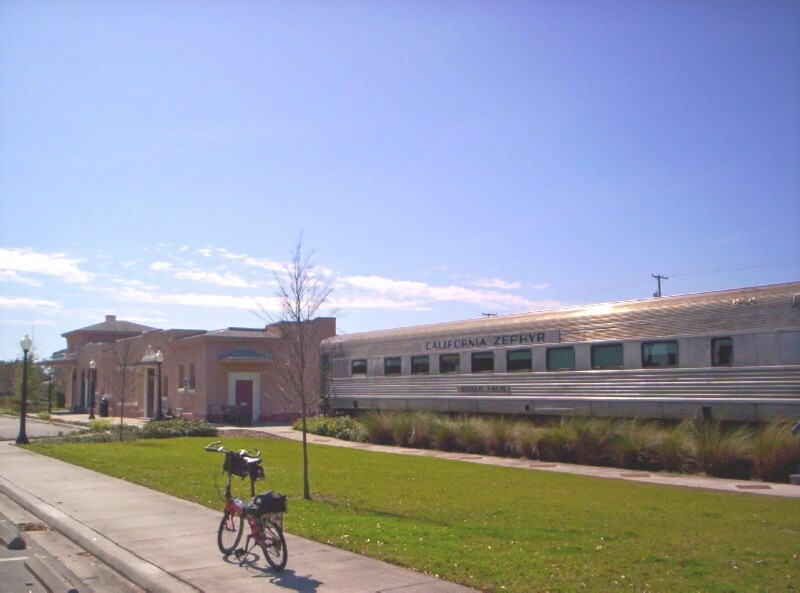 Getting ready to depart for Winter Haven from the very attractive Sebring station. 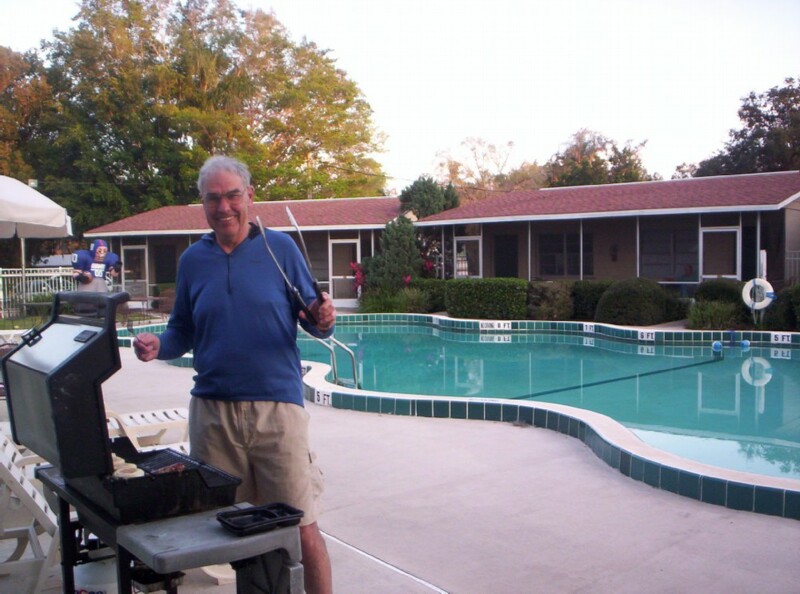 After St. Petersburg we decided to move on to the Kenilworth Lodge in Sebring for 6 nights where we had stayed in 2012. Despite the fact the connecting Amtrak bus from Clearwater/St. Petersburg gets to Tampa in plenty of time to meet the southbound train to Miami (including a stop in Sebring), Amtrak won't sell a ticket for that itinerary. So we had to take public transportation buses to Tampa. This required leaving at 7:20AM and dragging our bikes now in suitcases 4 blocks to the bus stop, then transferring to an express bus to downtown Tampa, and then walking 8 blocks to the station. This got us to the station 2 hours before the scheduled departure. But the next bus to Tampa would have gotten us to the station too late to meet the deadline for checking baggage. 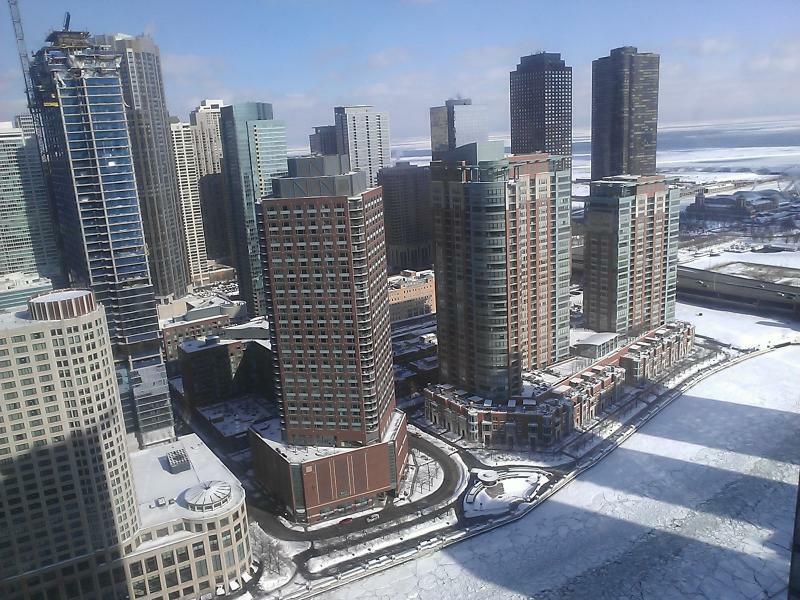 As of the time we had to leave, the train was on-time. But by the time we got there it was 45 minutes late, and eventually arrived an hour late. So we could have left later had we known. When we arrived in Sebring we called the hotel which sent someone to pick up our luggage. 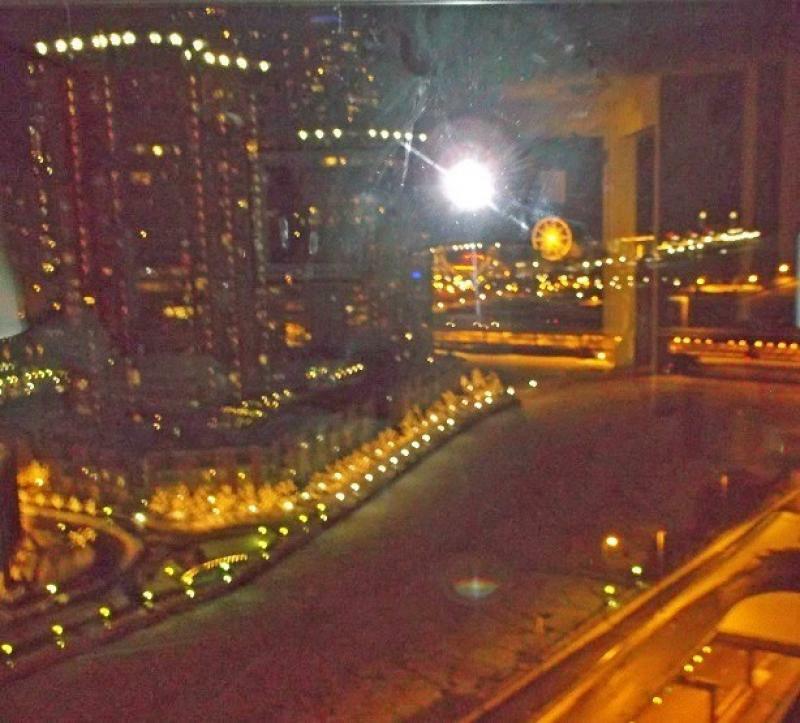 We reassemble our bikes and biked to the hotel. 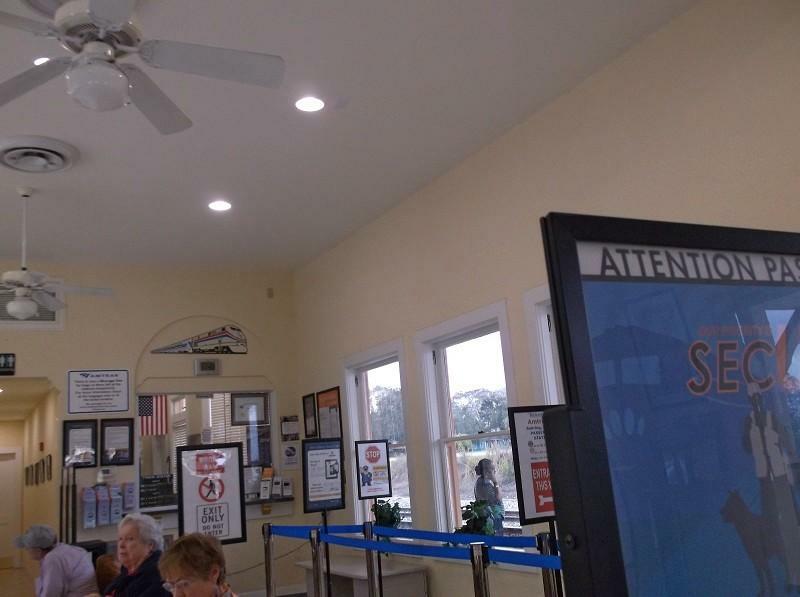 Since our last visit to Sebring, the station had received a makeover based on the Homeland Security school of design. HIPAA rules were also in effect. 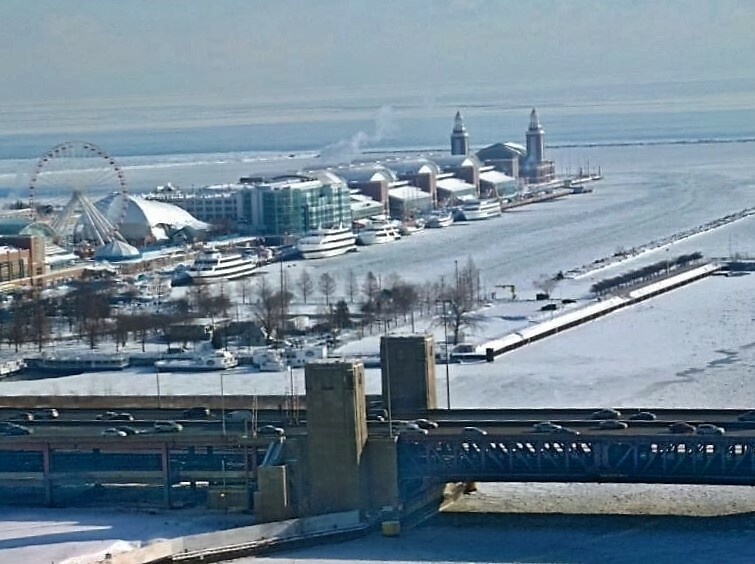 The Lakeshore Limited was over 8 hour late into Chicago, causing us to miss our connection on the SW Chief back to Fort Madison. 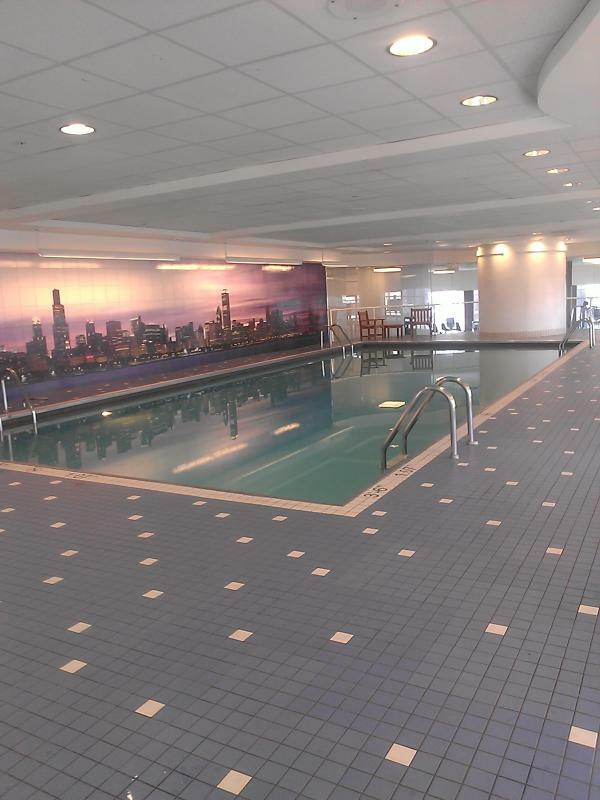 Amtrak put us up in the high class SwissHotel on E. Wacker Dr between Michigan Av and Lake Michigan. 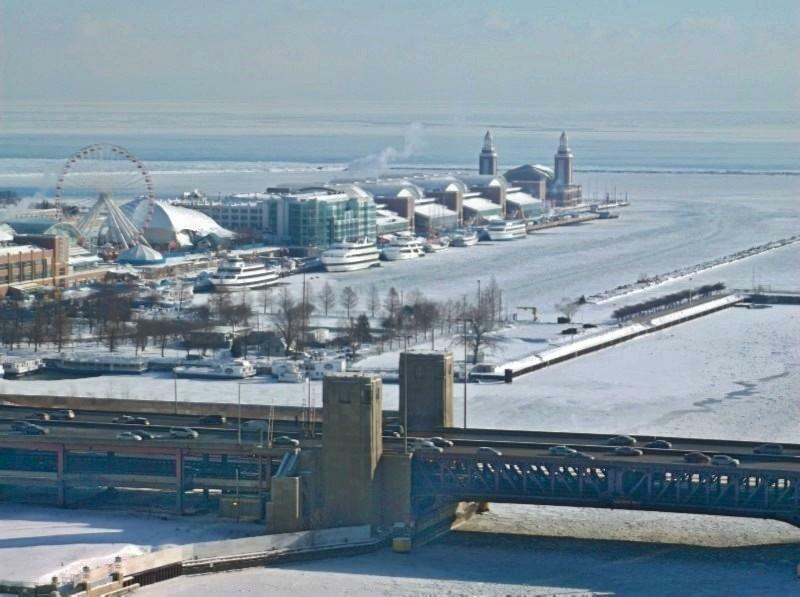 Mouth of the Chicago River and Navy Pier viewed from our room.